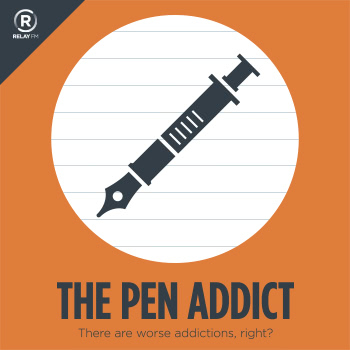 Is this an episode of The Pen Addict or an episode of Analog(ue)? Myke and Brad discussed the huge changes at the The Pen Addict blog this week, including their great enemy the Imposter Syndrome. They also talk about secret pens, blinding Field Notes, and the best reader email ever. Pen Chalet use the code PENADDICT to save 10% on your order or click the ‘podcast’ link at the top of the website and enter the password 'penaddict' for even more savings, as well as your 10% off. KenouniRenashin on Twitter: "Jesus. @dowdyism @imyke Guys, Scribble want me to be a beta tester." 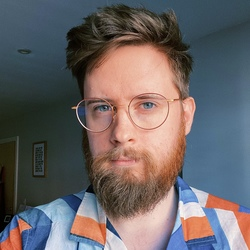 KenouniRenashin on Twitter: "@ian_hedley @dowdyism @imyke they want like, $15 for shipping and I'm a tad wary of that." KenouniRenashin on Twitter: "@imyke @dowdyism As I've been saying to others; if I can do it without handing over my card details, I'll do it. But I don't trust them"